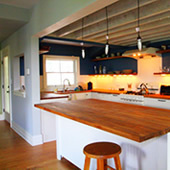 We fit our designs to the lives of our clients and source as many local or sustainable materials as possible. 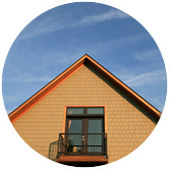 Our custom-designed construction is designed to provide years of service with minimum maintenance. Conventional tract homes often fail EPA standards. We believe higher air quality improves your quality of life. 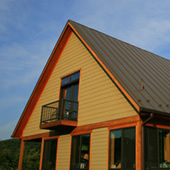 Sustainable materials, efficient designs, and thoughtful building practices reduce construction and maintenance costs. We use advanced methods and quality materials to create tighter buildings, passing the energy savings to you for years to come. Sugar Hollow Builders offers environmentally sound design and construction services for additions, renovations, and new construction. Contact us to discuss your project ideas. Sugar Hollow Builders offers design and construction services for environmentally conscious additions, renovations, and new construction. 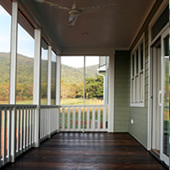 Our projects have included everything from a simple deck space or kitchen remodel to complete construction of new homes. 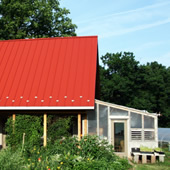 Our thoughtful energy and resource efficient design process, coupled with our quality building materials and durable construction provide our clients with years of use with minimum maintenance. Contact us to see how we can help you improve your living space. Our commitment to quality and environmentally sound practices makes us the obvious choice. Traditional construction materials and processes can be costly and wasteful. We are passionate about sustainable materials (and local wherever possible), efficient design, and low maintenance construction. Copyright © Sugar Hollow Builders, Inc.